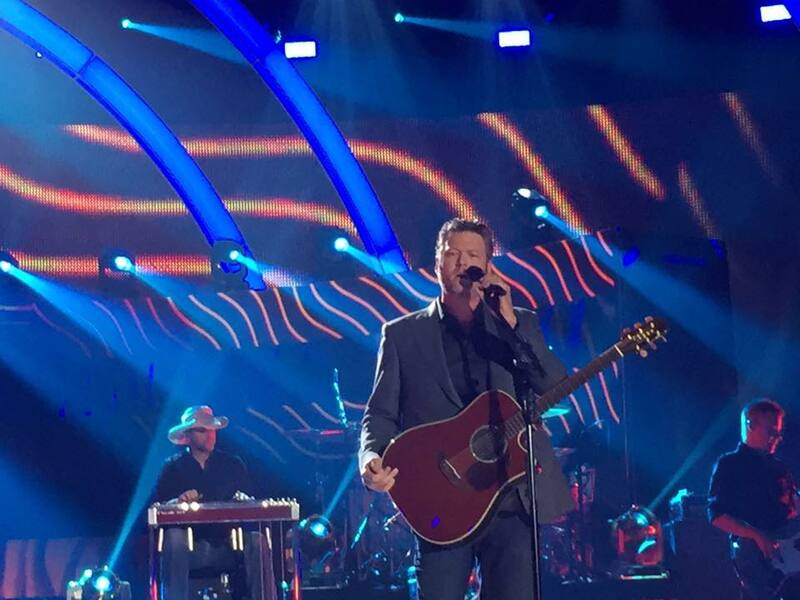 Nashville, you were short but you were oh-so sweet! I’ve packed up the Benz and I’m headed back to Mississippi for Christmas. After the coming week spent with family, Hunt and I will load up again and trek to Greenville, South Carolina. I am so excited for this big move, but I will surely miss little things about Nashville like my favorite gym, the best tacos at Saint Anejo, the live music on every corner and the fact that I live right beside a nail salon. I’m going to share with you (against my better judgment) the things that I learned my first time living in a big city. I would like to preface this by saying that moving to Nashville was the first time that I had ever moved. I went to college in my hometown (Clangaaa!) and so I had really never lived anywhere besides Starkville, MS. With that being said, I learned a lot taking on a new city for the first time. Whether you are moving off to college, to start a job, or just entering a new phase of life, I think you can relate to the things I gleaned from my first move. Don’t let doubts, fear or worry keep you from doing something. 2. Finding a job is hard. You are not the only one having trouble finding a job. Don’t be discouraged! They are hard to come by and even harder to land. The best tip I can give you is similar to number one, say yes. Go out, meet people, talk to randoms at the grocery store, send genuine emails, search online, update your Linkedin, be persistent, pray. Something will come your way when you least expect it. 3.Nothing exciting happens inside your comfort zone. I made it a goal to talk to everyone I saw when I was shopping. I didn’t know anyyyyone. I was at Francesca’s and met a girl working behind the counter. I asked her if she knew of any fun things to do in Nashville (it was my first week in town). We chatted and she ended up telling me that her boyfriend was a guitarist in a band that was playing at the CMT awards…casual. She told me that if we went “downtown" we could get free wristbands to attend the show. Those were the only details she told us, but that was enough to set us off. I drug my roommate all over Nashville for HOURS looking for any sign of wristbands. This chick could have been lying and it was definitely uncomfortable to chase people around all day asking for wrist bands, but hey, it turned out alright for us. 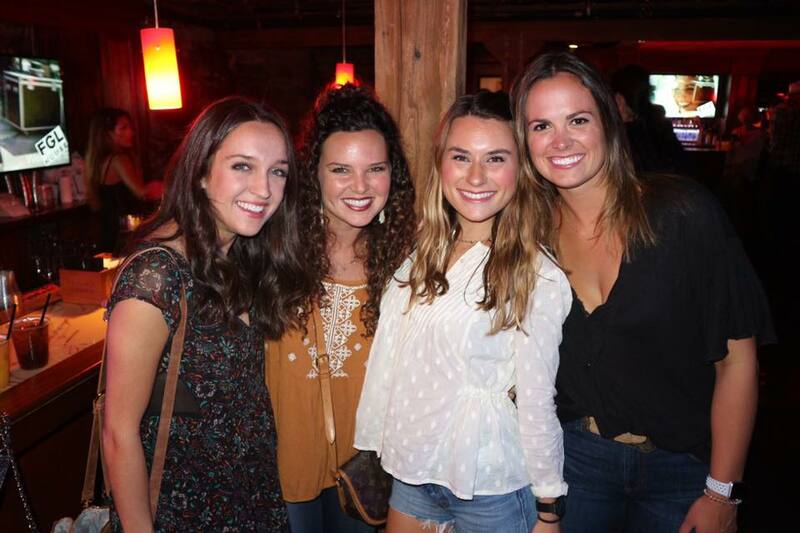 We found the men handing out wristbands and scored spots on the fourth row to watch artists like Carrie Underwood, Luke Bryan, Blake Shelton, Little Big Town, Jason Derulo, Keith Urban, Miranda Lambert and even more. It was a good start to our first week in the country music capital of the world, all because we did something uncomfortable like talking to strangers and getting lost downtown. 4. Don’t be afraid to bandwagon. “Hockey? Yeah I love hockey. Go Preds! SMASHVILLE!” Just go with it. You’ll make more friends that way. Thank me later. 5. Goat yoga is fun. This is one of those “always say yes” moments. 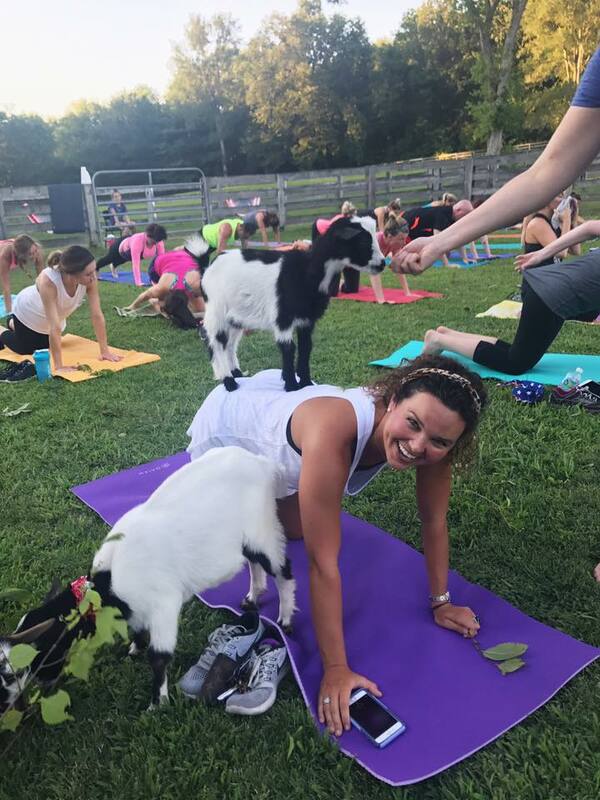 When you get a text saying, “Hey wanna go to yoga in a field of goats?” you should prob do it. 6. Be the first one to make a move. 7. Be unapologetically your self. Do you want to start a blog? Do it. Become a fitness instructor? Start training. Go to Graduate School? Apply. Start a photography business? Get to snapping. Lead a bible study? Volunteer. You have the reigns and can steer your life whichever way you choose. Don’t let comparison or fear of what another person may think stifle you. 8. Learn to parallel park. Yeah… this goes without saying, It’s a necessity that apparently everyone knows how to do except me. Also, no parking means no parking, duly noted. 9. The old friends are still the good friends. Keep in touch! Everyone gets so busy and it can be hard to stay up to date with what you friends in other towns are doing…but make time. If you like to chat face to face, you need the app House Party. My friends and I love making House Party dates because all of us can video chat at once. It makes it easier to be apart and is more personal than texting. Try it out! 10. Groceries are hella expensive. I miss my parents’ pantry. That’s all. 11. You can’t talk to celebrities you encounter in Nashville. I saw Sean Mendes and Brett Eldredge on the street and COULDN’T approach them. I still cringe inside about that. I wanted to pet Edgar reallllllly bad but apparently cool locals don’t do that, soooo…. 12. When you have a chance to go to Jay Z on a Tuesday, you should absolutely go to Jay Z on a Tuesday. 13. At the risk of sounding hopelessly lame, you should always follow your gut AND your heart. They’re right 9 times out of 10. Did I mention that I moved to Nashville and started Graduate School at Belmont University? Yeah, I did that. I was in business school for 3 weeks and really felt like I was in the wrong place. I did not see myself working in that capacity after graduation and missed my creative, public relations roots. I decided to pursue a PR and Marketing career and get experience in Nashville instead of forcing myself to stay in a program that I wasn’t passionate about. These are the decisions that you owe to yourself. Life is too short. Chase what makes you happy instead of being drug around by what you think you’re supposed to do. 14. The city may make you happy, but only the people in the city can bring you joy. I once heard someone say that happiness is based on your external experiences and conditions, whereas true joy is based on what comes from within you: your soul and your spirit. I fully believe that a place can make you happy, but only the people that God puts in those places can bring you real joy. I didn’t feel at home in Nashville until I met some really great people. It was those people that I will remember when I move. It won't be the fancy restaurants, the concerts or the job, but the people who ate with me, sang with me and worked with me. If you can be more passionate about the people than the place, then you will feel at home no matter where you find yourself. I can’t wait to see what the next move brings. I know that the place is good but the people I'm joining there are ten times better. Cheers to new adventures, new friends, new family, a new city and a new year. God is good.